We spend so much time perfecting and obsessing over the design of our homes so why not our Christmas trees. Whether you’re set on a theme and colour scheme or just have a few special ornaments that come out every year- your tree should be a reflection of your taste. 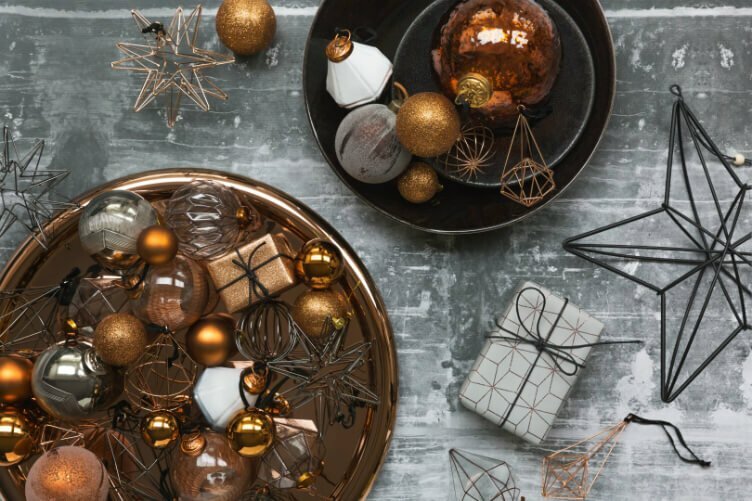 From the traditionalist tree to the modern minimalist, there are so many ways to make a statement this holiday season. It all starts with placement. When deciding the spot for your tree it’s important to consider where you’ll be spending most of your time this holiday season and where the tree will shine the most. A window is the prime location to feature your tree and perfect for showing it off to your neighbors. On the other hand right next to your TV is perfect place to create a festive atmosphere for those post turkey Christmas movie marathons. Now it’s time to plan your theme. 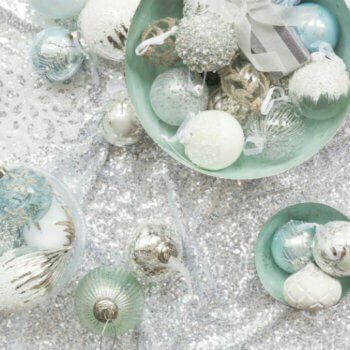 From maximalist to minimalist, gimmick to glam, there are so many beautiful ways to turn your tree into the perfect holiday statement. You can keep it consistent and choose one theme for all your decorations or dedicate a theme per room– the choice is yours! We’ll start with the most obvious look, the classic traditionalist. 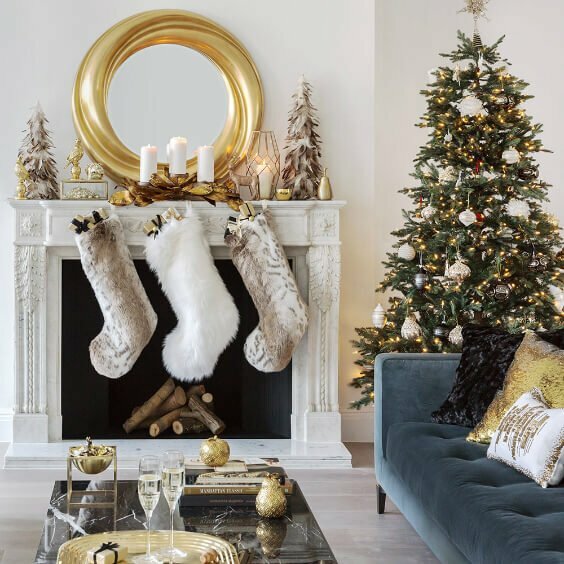 Mix a colour palette of reds and golds while playing around with oversized ornaments and bows for that timeless homey vibe this winter. Or you could opt for a more muted look, perfect to compliment bright and airy living rooms. Let the beauty of nature shine through and keep all eyes on the forest green of your pine tree with just a few subtle matte and glitter baubles- no tinsel, no fuss! And for all the Christmas extremists out there, you always have the option of going full out winter wonderland! Fake snow frosting over the branches, decorative reindeer surrounding the presents on the floor and the glitziest baubles you can find. 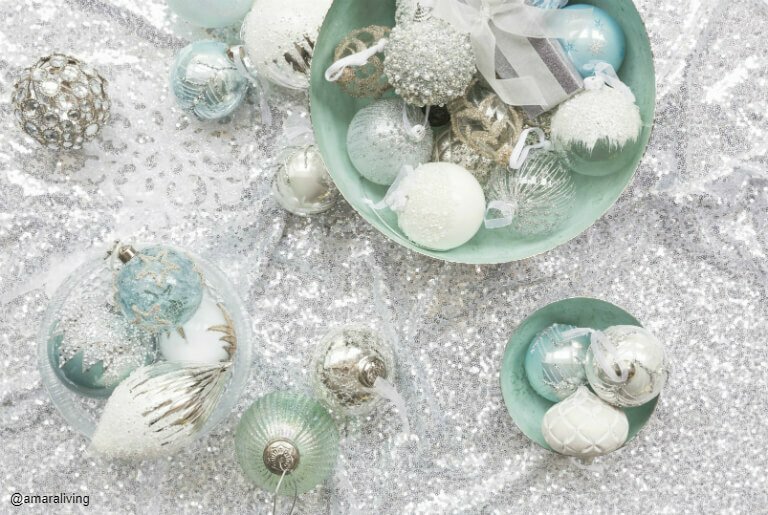 Stick to a frosty colour palette of whites and silvers to maintain that touch of glamour whilst creating a whimsical feel with polar bears, snowflakes and glitter. Whatever your aesthetic, there is one simple strategy that works perfectly to create a balanced and composed tree. When it comes to ornaments remember 60:30:10 – the perfect proportion scheme to ensure you don’t over or under do it this year! Starting with the big 60, these are going to be what makes up most of your tree so lets keep it simple. Small glass baubles, crystals and snowflakes are amazing for creating a flawless base. Be sure to spread them out, covering all angles with no bald spots. Focus next on the 30%, slightly bigger and bolder ornaments, conveying your aesthetic and supporting your theme. Large beaded or glitter baubles, geometric droplets and tassels work well for purpose. Spread outmultipleofthesameornament to create aspects of symmetry within your design, keeping it clean and organized. Now the last 10%, this is where the WOW factor is and when you introduce your show stopping elements. 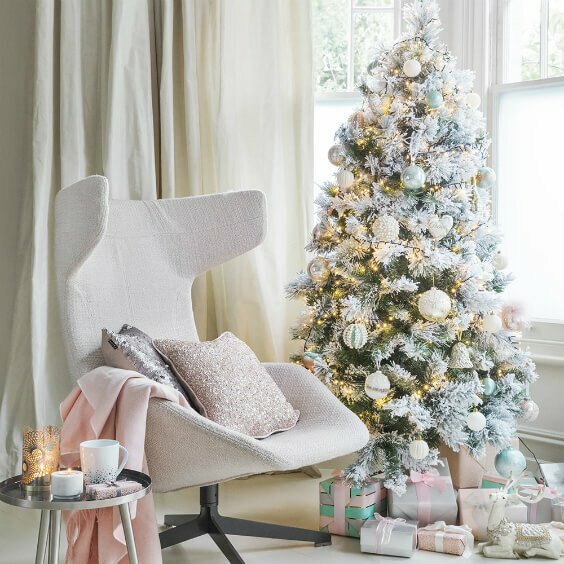 A slightly more whimsical tree might feature featured birds on the branches, dramatic baubles and eccentric bows whilst a traditional tree might include stockings and Santa’s. The choice is all yours but whatever you choose, balance and consistency in your design is key. 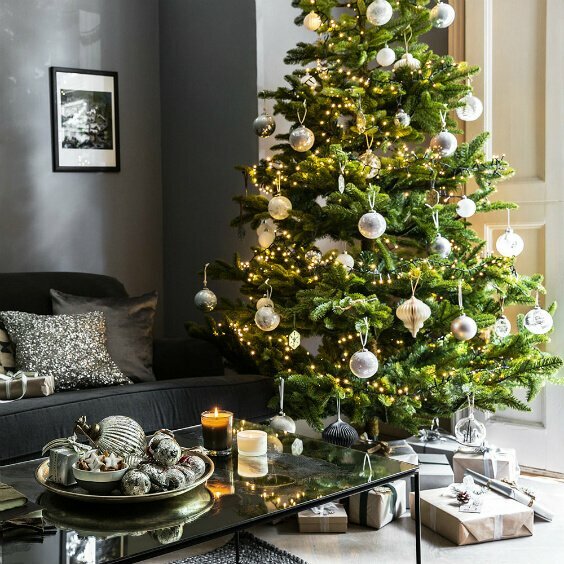 Read Temza's interior design guide to decorating a show-stopping Christmas tree that would make a statement this holiday season.